Heaven Is For Real is one of the most encouraging books that I have ever read. I have always loved books written by people who have visited heaven by an out of body death experience. But I have found that when a child goes to heaven they see the details that adults often miss. This book will not only encourage you but lift your spirits to what an awesome God we have. 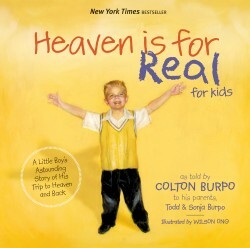 Check out the website Heaven is for Real.net for some stories and coloring pictures for children to color. And for more stories of heaven by children you should read "Visions Beyond The Veil" by H. A. Baker. Be sure and check out our Rainbow Castle.org website for our heavenly stories. 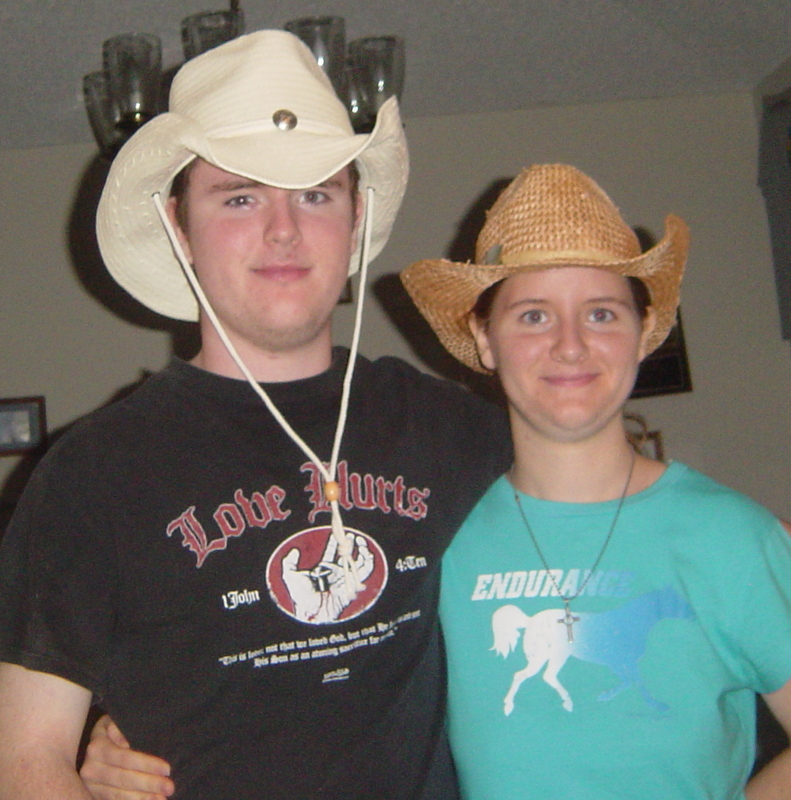 Need a customized book review? Here is a good solution: you need to fill in the order form and buy book reviews here from smartwritingservice.com. 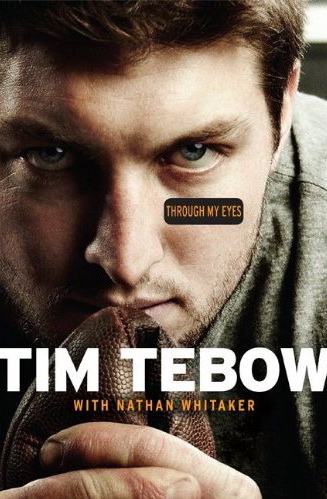 Click on the Tim Tebow's book to read Jamie's book review. Roma Downey's Little angel's DVD series was a great success with my youngest grand children who are in pre kindergarten and first grade. 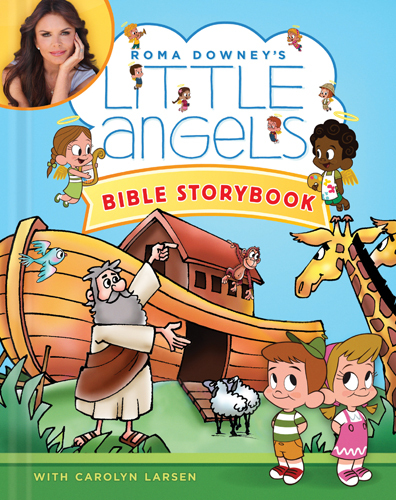 Now Roma Downey has now partnered with Tyndale with a new Bible Storybook written Just for pre-school children. After reading through the Bible storybook I can not wait to buy one for my grandchildren for Christmas. It is the perfect gift to encourage my children to read these wonderful Bible stories to my grandchildren. I love how the little angels and twins Alex and Zoe get the children involved in each of the stories that you read to your children. For example after reading the story about Queen Esther Zoe says: "I learned that... Esther had to be brave to ask the king for help. But she did it, and God used her to save the Jews. God will use me when I am brave too." Then Ariel the Guardian Angel says: "I can... Be brave like Esther. Is there something you are scared to do? What is it? Are you scared to go into a dark room? Ask God to help you. It's good to practice being brave." Alex says a little prayer and there is a scripture to read from Psalm 27:1 "The Lord is my light and my salvation so why should I be afraid." CLick on the picture of the cover of the Little Angel's Bible Story book to find out how you can buy your copy for your favorite chidren. 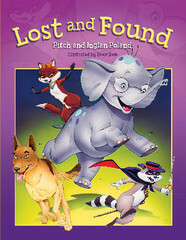 Lost and Found by Pitch and Inglan Poland and Illustrated by Drew Rose. Reading a great book is the perfect way to spend a lazy summer afternoon. Today Jamie is a writer and she started loving to read with the book series "Warrior Cats". She could not wait until the next book came out. Most writers began their careers because they loved to read books especially during their summers off from busy school days. 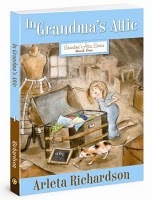 I was recently sent the "Grandma's Attic Series" written by Arleta Richardson. I am going to give these books to my granddaughters to read this summer, but not until I finish reading them. 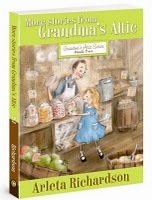 These books are classics and enjoyable to read by all female ages.... even grandmas! Several years ago I bought The Tiara Club Series for my granddaughters to read. They had so much fun taking turns reading the books. It was during this time that I was creating our own stories of the princesses and princes of Rainbow Castle. This summer I am writing stories for boys on the King's Knights about the princes of Rainbow Castle. For more information go to: Kings Knights.org and God Princesses. Pocanhontas: Princess of Faith & Courage written by Maja Ledgerwood and Illustrated by: Tyson Ledgerwood is a wonderful young children's book about the true story of the legendary Pocanhontas. My husband recently met one of the real descendants of Pocanhontas through her only son Thomas Rolfe. When my husband was telling me about the real story of Pocanhontas I told him that I already knew because I had read this book. Another very interesting part of this book is the illustrator's notes in the back of the book. Here he tells about the meanings of the symbols that he painted in the pictures. CLICK HERE for details. Click HERE for online video. I bought this precious book for my granddaughter Sierra's 6th birthday. It is a wonderful story for daddy's and daughter's to read together. The book also comes with a cd of the song that inspired the book, and Cindy reading the storybook. The cd also includes Cindy sharing her true story of how her daughter's words, "Dance Me, Daddy" inspired the song. The story reminds me of my oldest daughter dancing her Daddy - Daughter Dance at her wedding with her step-father. It was a cherished moment. My youngest daughter has already picked out her song for her dance with her daddy when she gets married, and she is not even dating anyone. I pray that this book will inspire my son to dance with his daughter while she is little! Maybe in the future they will even use this song for their Dance together at her wedding. 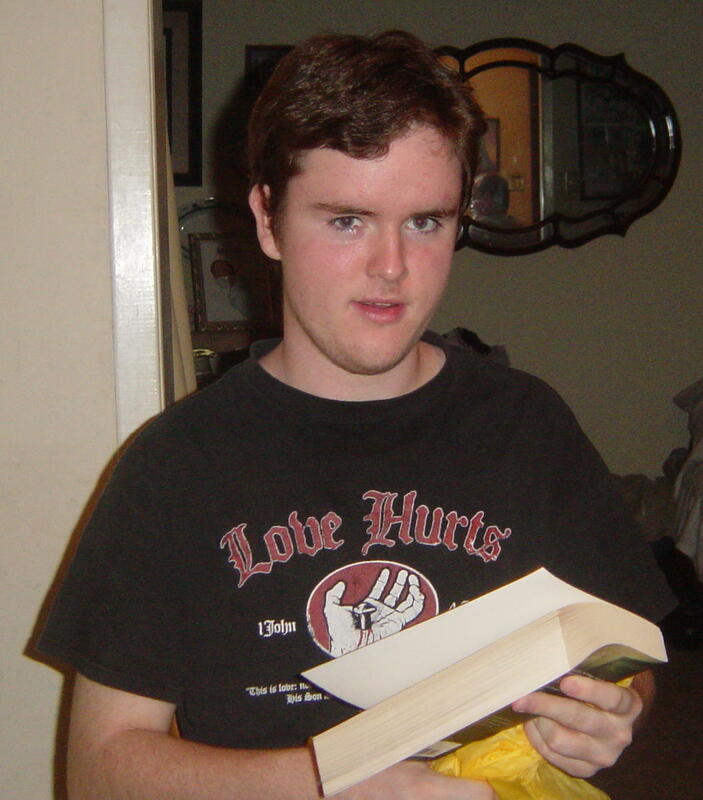 CLICK HERE for Jamie's Book Reviews. by Karen Kingsbury. The writer made every page an adventure that captured my interested and made it impossible to put the book down, and when I finish the book I pleaded with my mom to please take me to the bookstore so I could get started reading the next book. Click Here if you want to read more on Karen Kingsbury's First Born Series. This book is such a great Christian story, it's about forgiveness, peace and the pain of lossing someone who's very close to you. Forgiven shows us that anyone can lose someone close to you, and that such deaths should bring fellowship and prayer. It also shows us the peace God can give us if we ask for his forgiveness in our lives. I'd say Forgiven is an awesome read for ages 14 and up. It is one of my favorite series that I have ever read. Found is a Christian book that shows us the joy and love that God brings to us when He cames into our hearts, and when He becomes the Lord of our lives. It also shows us the pain of losing your unborn baby, and the joy of finally getting to meet your Firstborn child, there are many other life lessons that the book shares. I'd say Found is a great read for ages 14 and up. I'd give Found five stars. 1. Redemption is the first book in the five-book Redemption series that Gary Smalley and Karen write about the Baxter family--their fears and desires, their strengths and weaknesses, their losses and victories. Book One explores redemption. This book follows the pain, love, hurt, stuggles and other feelings of Kari Baxter. It's a heart warming book that shows us the power of God, and also the loss that most married people go though. But with God's help we can all get though and learn to trust again. I'd rate Redemption a full five stars. 2. Remember This story vividly illustrates that we must value others more than ourselves, and it drives home one of Gary Smalley's key messages: Honor one another. 3. Return What will it take for Luke to return to the family? A story of tenacious love and long for a lost son. 4. Rejoice A wedding takes place. A story of unspeakable loss and the overwhelming miracle of new life. 5. Reunion The Baxters share a moment that love always wins. A story of God's grace and redemption, his victory even in the most difficult times. My mom read "Divine" by Karen Kingsbury. It is one of her newest books. I recommended that she read one of her books, and when mom read that this book was about a modern day Mary Magdalene she decided that this would be a great book to read. She loved it! CLICK HERE to read more on "Divine"
CLICK HERE for more information and reviews by Jamie. Ted Dekker has been writing Christian fiction novels for ten years, but I had not read any of his books until West Bow Press sent us "House" to review. Ted Dekker co-wrote "House" with Frank Peretti. 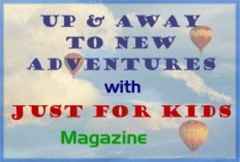 Read my review in Just 4 Kids Magazine June 2006 Issue by clicking HERE. Frank Peretti has been my favorite writer for several years. 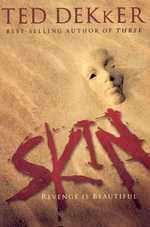 I have continued to read books written by Ted Dekker, his writing style is addicting. 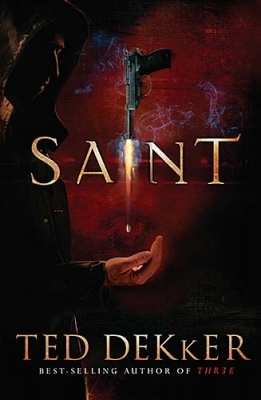 "Saint", "Showdown", "Skin", and "Thr3e" are extrememly suspenseful with Goldy values and truths. Because of the intense drama in the books I would recommend these books only for older teens who enjoy suspense thrillers. I recommend to start reading Ted Dekker's books with the trilogy - "Black", "Red" and "White". "Thr3e" has been made into a movie, and is well done. As usual I prefer the book to the movie. Click HERE for more reviews by Jonathan. Just 4 Kids Magazine summer pick for young girls 4 to 12 is The Tiara Club by Vivian French. CLICK HERE for a whole page dedicated on the series, games, quizzes and our reviews. Looking for books for young boys? 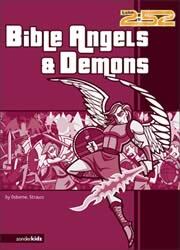 I recommend "Bible Angels & Demons" by Rick Osborne, and Ed Strauss. This excellent book explains things in heaven, what's up there, the throne room, Angels, demons, and lots of Bible facts. It is written so that kids can understand, and adults will enjoy reading along with their children. Check out more books by Luke252.com. Their website also has a super page for kids to create their own creatures. 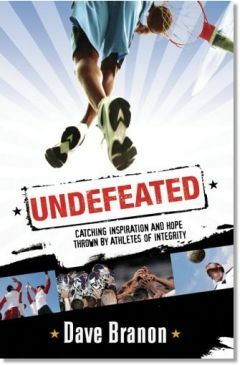 "UNDEFEATED: Catching Inspiration and Hope Thrown by Athletes of Integrity"
Join online 000-598 and 1z0-042 to pass 1z0-858 exam in first try. Our best quality security+ certification and sat practice guide you well for real exam.